Neil McCarthy grew up in West Cork in the eighties watching MacGyver and launching himself from trees on zip wires fashioned from old clothes lines. 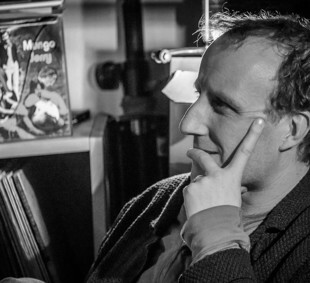 His sense of adventure followed him into his twenties when he graduated from the National University of Ireland, Galway, and began travelling and writing poetry soon after. He has so far featured as a guest speaker in literary festivals, conferences, fringe festivals etc. in Australia, the US, Ireland, the Czech Republic and Austria to name a few. In this time his poems have also appeared in dozens of international journals and anthologies, in print and online, and have additionally been translated and published in Romania, Serbia, and Hungary. He now lives in Vienna where he teaches English and still climbs the odd tree whenever the chance presents itself. last drop of blood spattered into the bucket. Everyone on Beachwood has a dog. in the hours when most wish to sleep. street cleaning the next morning. and park on a small dog. and stroll off in my air of nonchalance. engrossed with a smart phone to notice. most ignored sign in Los Angeles. watching tourists pose for photographs. the tourists rebelling against the signs. 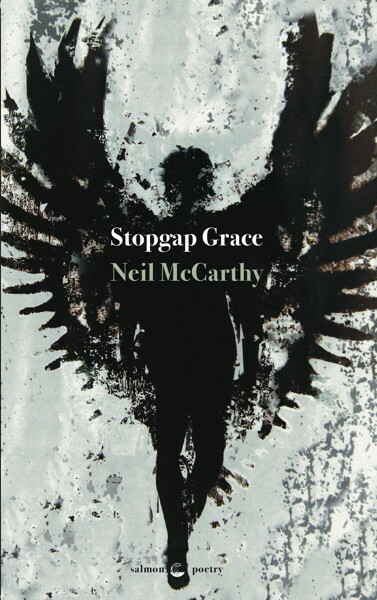 Anyone who has ever had the pleasure of hearing the poet Neil McCarthy read his work aloud, including audiences in the states, the UK, Central Europe and Asia, tends to remember the experience. Equal parts showman and shaman, McCarthy stalks the stage, reciting his work from memory, pouring forth both wit and wonder. One moment he is mocking politically correct restaurants, expecting to hear that “my bacon / had come from a happy pig, one that had had a full life, / was corn fed and had free range, did yoga in the mornings, / played the cello, spoke Latin and / learned to salsa dance while visiting relatives in Cuba”. The next moment he is growing reverential, holding a finger to his lips in order to “silence the misguidance of our Gods”. There is a reason McCarthy was once offered the role of Dylan Thomas in an off-Broadway production. Listeners may wonder how McCarthy’s work might come across on the page. They needn’t. Stopgap Grace, his exhilarating debut collection, not only captures his voice but deepens it. After a nostalgic opening poem about Ireland, during which he confesses surprise at missing “the sound of church bells, / reminding me of my sudden apostasy”, he is off to parts unknown. Escape is the operative word here, McCarthy’s imagination a “stolen Cadillac”. Perpetually on the move, he seems grateful for the opportunity, wondering “who’d have thought we’d be here; that we’d / have made it from the orchards of Carinthia to a café in Denver, splitting a bagel, watching the / shift in seasons defrock the trees”. If there is a whiff of Catholicism in these lines, it feels faint. The narrator insists he is “not the cartographer of guilt”. The road is his crucible, a place to “suffer penance through hunger and wait”. His poetry is powered by the sheer delight of travel which, like the act of writing, is guided by curiosity and creativity. Sometimes the two activities converge, as when the narrator recalls how he and his travel companion would “word those streets like a Scrabbleboard, / finding the lexis as we went, sometimes stuttering, / other times free flowing and cavalier”. Road-wearying challenges that would burden other travelers – linguistic isolation, geographical confusion, unfriendly locals, overly friendly locals – only awaken McCarthy’s wiseacre side. After noting that “my accent doesn’t carry well over a milk steamer”, he chuckles as “a customer dressed as a train conductor orders / a tea that nobody’s ever heard of while clutching a / book that nobody’s ever read. I end up with a coffee / I didn’t request and a friend I didn’t necessarily want”. Like the best travel writing, roads lead not just outward, but inward. In Shanghai, the narrator witnesses “buildings as big as my ambitions”. Vienna reveals that “crows pecking at the soil constitute no jury”. In Regensburg, Germany, he realises he has “for too long been hitchhiking in the opposite direction / to which the world is going”. Precisely what he seeks with his “acquisitive mind” remains unknown, unless it is the “morsel of a god”. The cover of this far-ranging book is apt: a winged silhouette striding purposefully toward the reader. The image epitomises its complicated sensibility, a spirit propelled less by celestial appendages than by his two earthly feet, resting occasionally in a state of stop-gap grace, before grinding ahead toward whatever may be next. Mark Wasserman is a writer and university instructor who lives in Los Angeles.